We looked at the top 11 Snow Blowers and dug through the reviews from 92 of the most popular review sites including The Spruce, Best of Machinery, BestReviews, Taber's Best Reviews, Consumer Reports, New York Times Wirecutter and more. The result is a ranking of the best Snow Blowers. Our experts reviewed the top 11 Snow Blowers and also dug through the reviews from 92 of the most popular review sites including The Spruce, Best of Machinery, BestReviews, Taber's Best Reviews, Consumer Reports, New York Times Wirecutter and more. The result is a ranking of the best of the best Snow Blowers. If you have a large yard, the Husqvarna Two-Stage Snow Blower can handle the job quickly. It covers a path up to 24 inches wide and has 15-inch tires designed for traction. Heated hand grips will make your work slightly more comfortable, and self-propulsion helps the blower navigate those tough hills. DWYM Outdoor and Garden Experts plus BestReviews, The Spruce, Taber’s Best Reviews and 2 more. Along with user reviews from Amazon.
" Can clear huge amounts of snow in conditions that would, quite literally, choke many competitors." "Weight seems slightly more than comparable models"
Heated hand grips and 16-inch tires will make your work easier with the Cub Cadet Snow Blower. You'll also get an electric start to let you get things going with the press of a button. Power steering makes maneuvering through the snow much easier. DWYM Outdoor and Garden Experts plus New York Times Wirecutter, Consumer Reports, Busted Wallet, Backyard Boss. Along with user reviews from Amazon.
" It has power steering—a must for a heavier two-stage blower like this one—a durable metal chute, a convenient electric start, and large, 16-inch tires that help give it good grip in the snow." "Requires the use of hearing protection." Being able to shoot snow up to 50 feet away is a bonus, especially if you have a larger area to cover. The Ariens Two-Stage Snow Blower has that, plus a fuel-injected engine for better fuel efficiency. The self-propelled blower also has belt drives designed to keep it moving forward, making your work easier. DWYM Outdoor and Garden Experts plus BestReviews, Consumer Reports, Top Ten Reviews, The Spruce, Best of Machinery, Backyard Boss. Along with user reviews from Amazon and Walmart.
" Features include electric starting, a convenient control panel, and a powerful halogen headlight." The Snow Joe Electric Snow Blower is great for areas that get deep snowfalls, with a capacity to handle up to 10 inches of snow depth and a width of up to 18 inches. It can only throw snow up to 20 feet away, but that may be all you need if you have a smaller yard. This blower is electric powered, which means you'll be tethered to a cord. However, you won't have to change oil or refuel as you would with gas-powered models. DWYM Outdoor and Garden Experts plus BestReviews, Consumer Reports, Top Ten Reviews, Backyard Boss and 1 more. Along with user reviews from Amazon, Walmart and Target.
" With reliable 13A of power, lightweight build, and easy-to-maneuver wheels, it effectively moves snow without a high price tag." "Lacks freewheel steering (making it harder to turn)." We identified the majority of the snow blowers available to purchase. 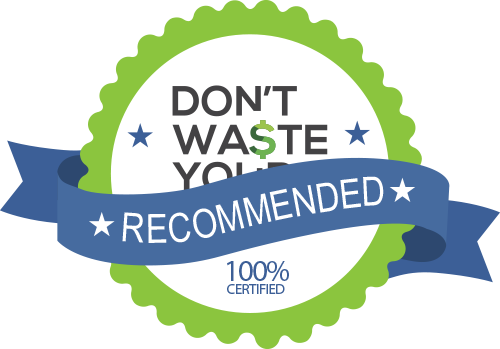 Reviews from our DWYM category experts and analysis of some of the most respected sources including: The Spruce, Best of Machinery, BestReviews, Taber's Best Reviews, Consumer Reports. We also incorporate user reviews from the leading retailers including Walmart, Amazon, Home Depot, Target and 3 others. Can clear huge amounts of snow in conditions that would, quite literally, choke many competitors. The chute can be turned with a special remote rotator situated on the control panel, so you can easily set the direction where you want snow to be flung. The engine operates the auger as well as the wheels, doing the work for you on the way up or down hill. Self-propelled and comes with practical heated handles to keep your hands toasty warm even when the air temperature is freezing. One of the more expensive machines on the market, but you definitely get what you pay for. The engine is a bit loud. With reliable 13A of power, lightweight build, and easy-to-maneuver wheels, it effectively moves snow without a high price tag. Ease of using the controls was very good. The engine powers the auger to clear up to 18 inches of space at a cut depth of 10 inches. The speed of the auger spinning allows it to discharge snow through the chute up to a distance of 20 feet. The machine is ideal for quick snow pickups on the mid-sized driveways and walkways. For effortless start and maintenance, no gas or oil is required. It comes equipped with steel blades, which chomps through snow more easily than plastic blades, plus they’re more durable. Those blades are also covered with rubber to protect the surface under the snow that you’re plowing. Owners gripe about flimsy feel of the plastic components. Dense, wet snow can be challenging for it to move. Lacks freewheel steering (making it harder to turn). The controls to start the SJ620, run the auger and rotate the discharge chute are located all within reach of the handle. Unfortunately, the handle does not allow you to adjust it to your height. Heavy, wet stuff, or packed material will take longer to move, and it won’t throw nearly as far as the maximum 20 feet that’s listed. The winter months can be tough for a large portion of the U.S., with 16 of the 51 largest cities seeing about two feet of snow on average each year. If you live in one of those states, keeping your walkways, driveway and vehicles clear is essential in order to get out of the house. Snow blowers have come a long way in recent years, doing more of the work with less effort from you. Conveniences like heated hand grips and remotely operated chutes make the process of eliminating snow from your yard easier, and an increasing number of snow blowers offer these features. No matter which snow blower you choose, you’re likely going to find it’s more than a little noisy. You’ll need to plan to wear earmuffs, earplugs or both at all times to protect your hearing. If you wear earplugs, make sure you roll them tightly so they’ll fully cover the eardrum before you insert them. Also, wear boots that feature plenty of traction on the undersides to avoid slipping while you’re clearing snow away. Speaking of safety, it’s important to remember that in the chute of every snow blower is a dangerous blade. If your snow blower becomes clogged, do not attempt to unclog it with your hand, even if you’ve turned the unit off. You can prevent clogging by spraying the chute and blades with cooking spray before getting started. Another way to keep clogging at a minimum is to manage snow levels by clearing it away in stages, as it accumulates. If you must unclog your snow blower, make sure you practice safety precautions in doing so. Turn the machine off, disengage the clutch and wait at least five seconds after you’ve cut power. The blades will continue to turn for a short time afterward, which is why so many injuries occur each year. Use an object like a stick or broom handle to clear away the clog, avoiding putting your hands near the blades even if you’re sure they’re no longer turning. It can be tempting to look for the snow blower with the most power and farthest reach. However, if you’re in a tight residential area with neighbors all around, you likely won’t benefit from having a blower that can toss snow 50 feet and cut an extremely wide path. By keeping that in mind, you may be able to save a little money on a unit that’s better suited to your environment. Laws can prevent many things, but weather isn’t one of them. That didn’t stop the city of Syracuse from trying, though. In 1992, frustrated with the 162.5 inches of snow that had fallen during the 1991-92 winter season, the city council passed a resolution prohibiting snow until Dec. 24, 1992. It was clear immediately that the resolution wouldn’t work since two days later, the city received two more inches of snowfall. Even worse, the winter of 1992-93 saw 192.2 inches of snow. Syracuse is one of the snowiest towns in the country, bringing challenges each year to the city, which has to pay to keep the roadways clear. A powerful snow blower can be a huge relief, as you’ve probably learned if you’ve ever tried to shovel piled-up snow. The higher the capacity of your blower, the quicker you can get out of the cold. Capacity is especially important if you live in an area that gets large amounts of snow in a short timeframe. The Husqvarna Two-Stage Snow Blower clears away an area of snow of up to 24 inches wide, while the Snow Jow Ultra Electric Snow Blower can tackle up to 18 inches and depths of up to 10. Distance is also an important factor. While you can adjust the direction and distance your snow blower can pitch snow, having a wider range of options gives you more flexibility. The Ariens Deluxe Two-Stage Snow Blower can shoot snow as far as 50 feet away. In comparison, the Snow Jow Ultra Electric Snow Blower can only toss snow up to 20 feet away. Although with distance, it may initially sound like the further, the better, if you live in a tight residential area, having such a wide distance can be a problem. The Ariens Deluxe Two-Stage Snow Blower’s range is so wide, it’s more suited for larger yards. For smaller yards, it may be worth considering an electric snow blower, which operates using a cord, requiring no gas or oil changes. The Snow Jow Ultra Electric Snow Blower is electric powered, meaning you can just plug it in and start blowing. However, with this model, you may want to invest in an outdoor use-designed power cord to give you the reach you’ll need. Snow blowers use blades to cut through denser ice and snow, which helps prevent clogs. The Snow Jow Ultra Electric Snow Blower has steel blades, which can slice through ice more efficiently than a plastic blade ever could. If you deal with persistent snow throughout the winter months where you live, you’ll likely find you’ll spend way too much money on fuel for your snow blower. The Ariens Deluxe Two-Stage Snow Blower is built with a fuel-injected engine to help cut down on the gas you’ll use every time you get a new snowfall. However, you may find this fuel efficiency comes at a cost since the engine doesn’t have as much power as other snow blowers in its category. One thing worth considering in a snow blower is how it will affect your driveway, yard and walkways. The Snow Jow Ultra Electric Snow Blower has rubber covering its blades to avoid damaging the ground surrounding your house. That means when spring comes, you’ll be able to enjoy the beautiful green grass buried beneath all that snow. Self-propulsion is one feature that can really come in handy, particularly if the area you’re clearing is hilly. The Husqvarna Two-Stage Snow Blower is heavier than usual, but it makes up for it by building in self-propulsion. The Ariens Deluxe Two-Stage Snow Blower is also self-propelled and uses belt drives that keep the unit moving forward. Steering can also play an important role in a snow blower’s ease of use, helping you maneuver around your yard. The Cub Cadet 3X Snow Blower has power steering, which means you can even move it around using one hand if necessary. The Snow Jow Ultra Electric Snow Blower, on the other hand, has no built-in steering assistance. However, it is lightweight and has easy-to-turn wheels, which makes up for that somewhat. The chute plays an important role in your snow blower’s operation. It tosses the collected snow, so it’s important to be able to easily control the direction and distance. The Husqvarna Two-Stage Snow Blower’s control panel has a remote rotator near the control panel that lets you easily manage the chute’s actions. The Ariens Deluxe Two-Stage Snow Blower’s chute control comes as a crank near the handle, which gives you the ability to change the direction of your chute up to 200 degrees. Although the Snow Jow Ultra Electric Snow Blower has useful built-in controls, you won’t be able to adjust the handle to your own height, which can be an inconvenience, especially if multiple family members will be using the same blower. You’ll often see a snow blower advertised as “electric start,” which is listed as a benefit. Electric start simply means you can push a button to start it up. The Husqvarna Two-Stage Snow Blower, Cub Cadet 3X Snow Blower and Ariens Deluxe Two-Stage Snow Blower are all gas-powered snow blowers with electric start. Traction can be tough when you’re dealing with snow and ice. For that reason, you’ll need a snow blower with good tires. The Husqvarna Two-Stage Snow Blower comes with 15-inch tires designed to cover any terrain. The 16-inch tires on the Cub Cadet 3X Snow Blower also give you great grip. No matter what tires your snow blower has, though, you can always benefit from having some chains around for those extra-slippery snowfalls. Both the Husqvarna Two-Stage Snow Blower and Cub Cadet 3X Snow Blower have heated hand grips, which helps keep you a little warmer while you work. Snow blowers can be on the pricy side. Plan to spend in the $1,000 range, with some blowers coming in a little cheaper and some going over. It’s important to prepare for noise with any snow blower you choose. You can never go wrong by protecting your ears against this noise, no matter how loud your snow blower is. However, you may cut down on some of the noise by going with an electric blower like the Snow Jow Ultra Electric Snow Blower, rather than a gas-powered one. Before you start shopping, consider where you’ll store your snow blower during the warm months. The Husqvarna Two-Stage Snow Blower is 58.5 inches long x 40.5 inches high x 24 inches wide, compared to the Snow Jow Ultra Electric Snow Blower, which is 45 x 19 x 38 inches. The Cub Cadet 3X Snow Blower is 36 ½ inches from its bottom to the top of the handles. For the Snow Blower category, we analyzed 92 of the most popular reviews including reviews from The Spruce, Best of Machinery, BestReviews, Taber's Best Reviews, Consumer Reports, New York Times Wirecutter and more. The result is a ranking of the best Snow Blowers.